District Kaushambi is rich in historical places. History of all times demistify the importance of the district. Kara, Prabhasgiri and Kaushambi are the main historical centers. The district is full of temples in which Sheetla temple of Kara Dham and the Jain temple of Prabhosa are the main attraction. The historical and religious importance of Kara is very old. 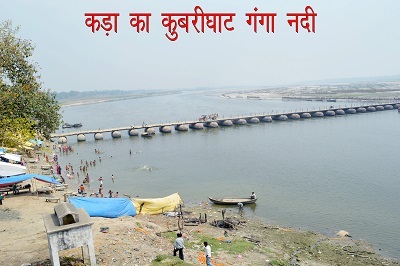 This place is situated in the north-west of Allahabad about 69 km away. 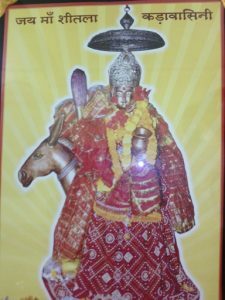 There are so many temples in Kara in which Sheetla Mata temple, Chhetrapal Bhairav temple, Hanuman temple and Kaleshwar Mahadev temple are famous. The temple of ma Sheetla is situated on the bank of Ganga river. 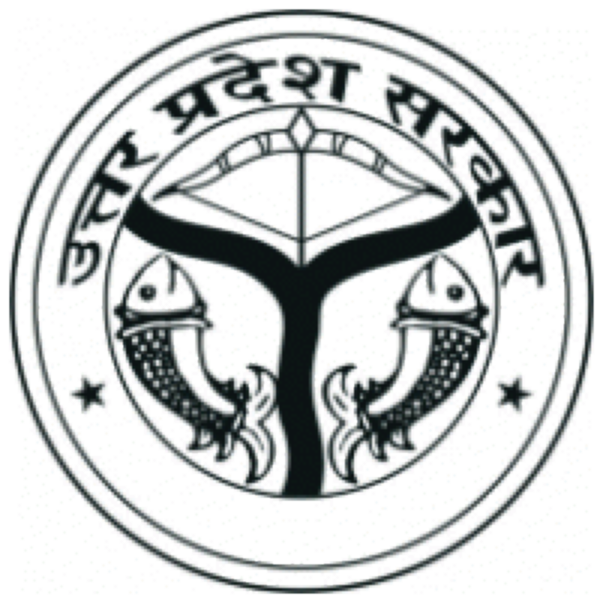 It is known as the major shaktipeeth from all the 51 shaktipeeths of Goddess. In the idol, Sheetla Devi is sitting on gardhabha. Followers of all the religions worship in this temple. It is said that by the worship of Goddess Sheetla on the ashtami of Krishnapaksha of the month of chetra they get rid of evil powers. This place has been a religious pilgrimage since at least 1000 A.D. Kara was also an important township in the kingdoms of medieval kings of the northern India. 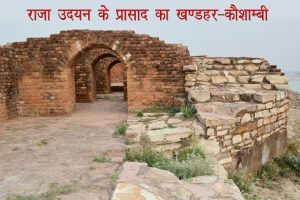 and even today one can see the remains of the fort of king Jaichand, the lasr hindu king of Kannauj. Kara is also the birth place of the famous saint Malookdas(1631 – 1739 A.D.). The Aashram and Samadhi of saint is there. He was also a follower of Goddess Kara. The famous Sikh guru Teg Bahadur had come to Kara to discourse on various topics with Saint Malookdas. 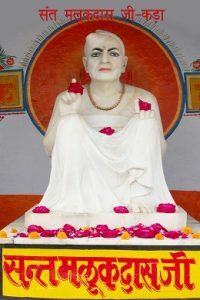 Prabhasgiri or Prabhosa is famous as a religious historical place on the bank of Yamuna river at the Manjhanpur Tehsil about 50km away in the north of Allahabad. It is also said that Shri Krishna died at this place by the arrow of Jaratkumar in the suspicion of deer. In the earlier days there was a big Jain temple on a very big hill. After the demolition of this another jain temple was constructed in 1824A.D.. A cave which is 9 feet long and 7 feet wide is also there. In this cave the records are found in the brahmi lipi of second century before Gupta dynasty. Till now this place is the center of faith of all the followers of the Jainism. This was the place where the sixth teerthankara of Jains Bhagwan PadmaPrabhu lived most of his life. Sir Leonard Wooley in his famous report had suggested Kaushambi as one of the two important sites in the Ganga valley, the excavation of which, according to him, would unravel the early history of the Indian people. It was a memorable event in the History of Indian Archaeology when first of March, 1948, Sir Mortimer, authorized the University of Allahabad to excavate Kaushambi with G.R.Sharma as Director. The excavations have been conducted in the following areas: near the Ashokan pillar which laid bare a part of the residential area of the city, the Ghositarama monastry, the defences near the Eastern Gateway and the tower at the north-eastern corner, the Stone Fortress Palace. This temple is situated about 1km away in the south-west of Manjhanpur town area. In this temple there is an idol of black stone of Goddess Durga and Lord Shiva. It is believed that these idols are of the time of Buddha. On the occasion of Navaratri there is a large crowd to worship Goddess Durga. This temple is situated on the bank of a pond about 10km away in the west of Manjhanpur in the village of Gambheerapurab . According to the local tradition Kamasin Devi fulfils all the desires of her followers. Local people have a great faith on the devine powers of this temple. 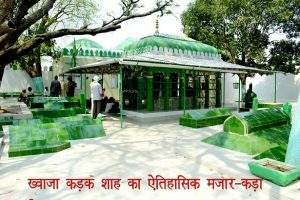 This place is situated about 30km away from Allahabad on the Allahabad Kanpur road . This place resides in the Chayal tehsil area. 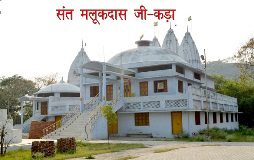 A huge temple of Lord Shri Ram is situated at this place. This temple was constructed around 20 years ago. There are numerous places of interest round about Kaushambi like Allahabad, Kanpur, Varanasi, Chitrakoot and Vindhayavasini.